The beautiful stone walls at Lee Rd. and Fairmount Blvd. surround not only Beaumont School, but a vibrant history that includes wild animals, exotic birds and a bank embezzler. 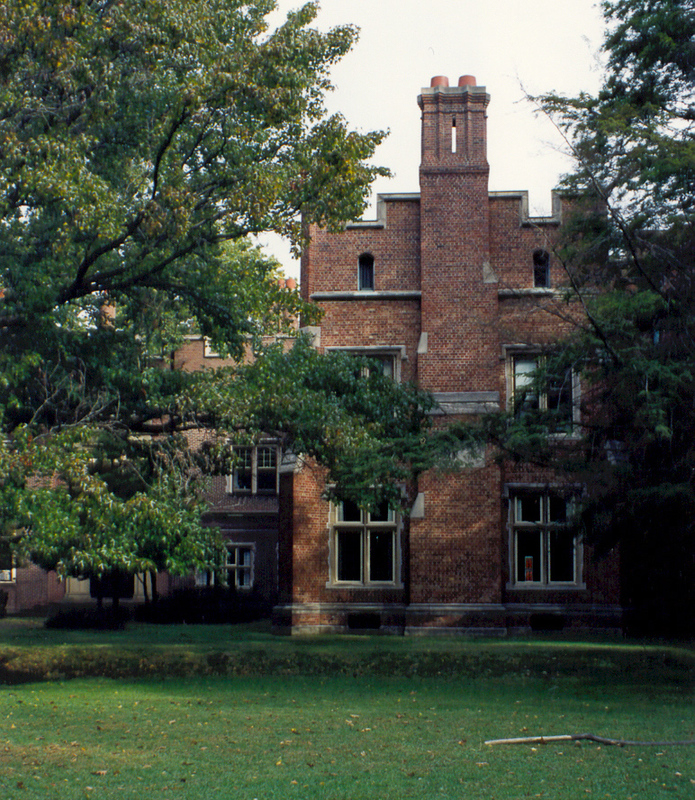 In 1903, John Vickers Painter, a wealthy banker, railroad man and associate of John D. Rockefeller, purchased 8.5 acres in Cleveland Heights and hired Frank Skeel to design a summer home. After Painter’s untimely death, his wife and son Kenyon continued construction. The 65-room Jacobean-style house was completed in 1905, surrounded by an estate that had grown to more than 50 acres. Despite his family wealth and successful business dealings, Kenyon Painter’s life was marred by misfortune. He married Mary Chisholm in 1889. 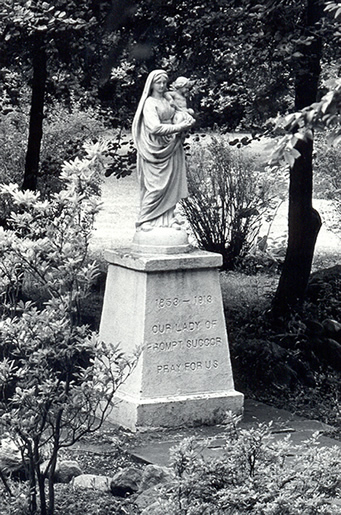 Their infant daughter Jean died in 1894 and Mary passed away in 1901. Painter then married Missourian Maud Wyeth in 1909, the same year that his mother died. The new couple had four children, but their five-year-old daughter Leola was killed in a car accident close to home. 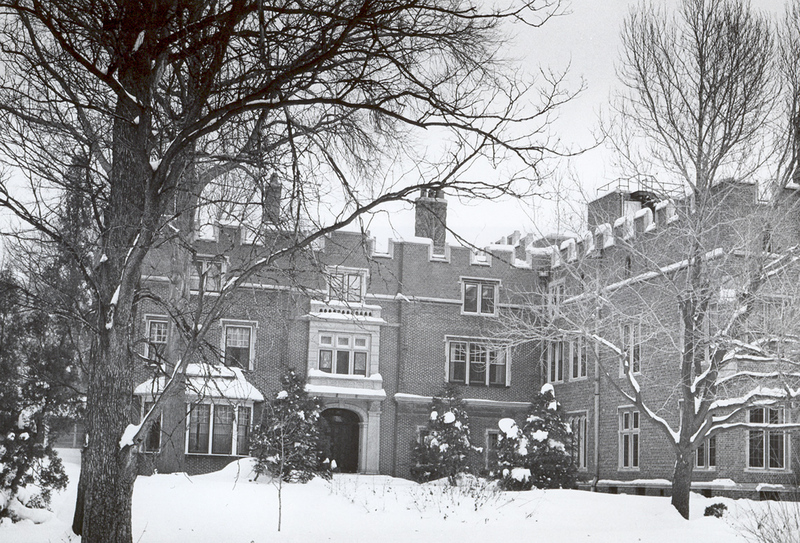 The Cleveland Heights estate served as a refuge throughout Painter’s adult life. It became the family’s permanent home in 1915. In 1928, Maud hired a Missouri architect to design an addition, and coordinate an extensive remodeling to create an overall Tudor style. The main roof was raised and flattened and the cornice crenellated. The addition of Gothic details, buttresses and twisted Tudor chimneys transformed the architecture of the mansion. By that time, the estate contained several outbuildings, including a garage, stable, zoo/aviary, playhouse, library, two trophy rooms, and a separate house for Mr. Painter’s secretary. The former carriage house, now 17412 Shelburne Rd., was converted to a dwelling in 1919. Painter traveled extensively. His favorite destination was Africa, where he hunted big game and collected exotic birds. 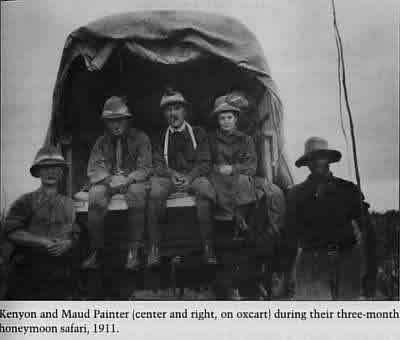 The first of his many safaris was in 1907 to Arusha in Tanganyika (formerly German East Africa). Over time, he bought 11,000 acres of land outside the town and developed the region's premier coffee estate. He gave the town its first post office, built a church, a hospital, and then an advanced coffee research center at a place called Tengeru, sixteen miles from Arusha. Altogether, Painter invested eleven million dollars in and around Arusha. His single story New Arusha Hotel was one of the region’s most noted landmarks, and was headquarters for the Tanganyika Tours and Safaris Company. Back home, Painter’s trophy rooms were built to display the numerous mounted heads and skins collected during his safaris. The aviary, stocked with hundreds of birds from around the world, was valued at $500,000 in 1912. Many of these specimens and animals were eventually donated to the Cleveland Museum of Natural History, various zoos and other institutions. Following his pardon, Kenyon Painter returned to the Cleveland Heights estate to live the rest of his live in rigid seclusion. He passed away in March, 1940. Begun as the summer home for a wealthy Clevelander, the estate has seen many changes over the years. But the walls and mansion are still there to remind us of the richness and fluidity that is Cleveland Heights history.